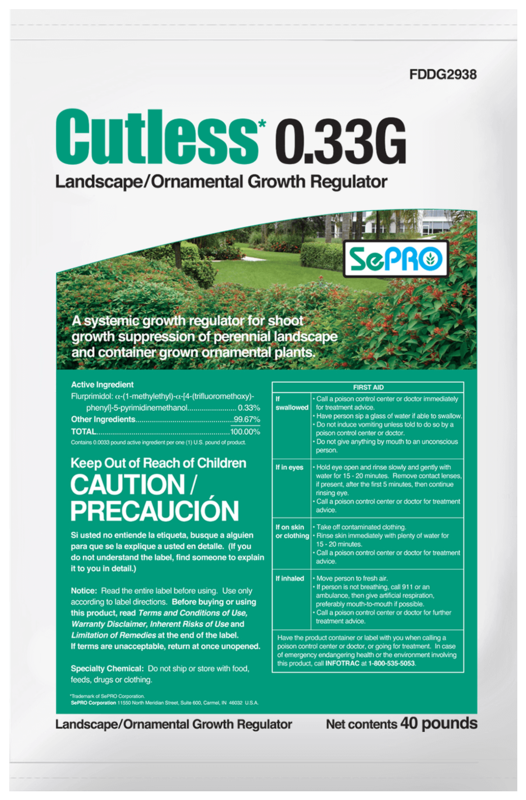 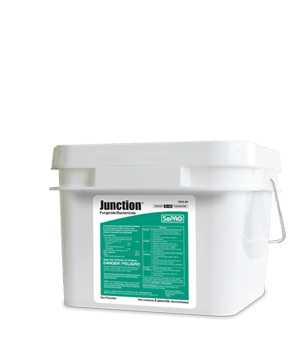 Systemic plant growth regulator that slows shoot growth of hedges, shrubs, and groundcovers in landscaped areas. 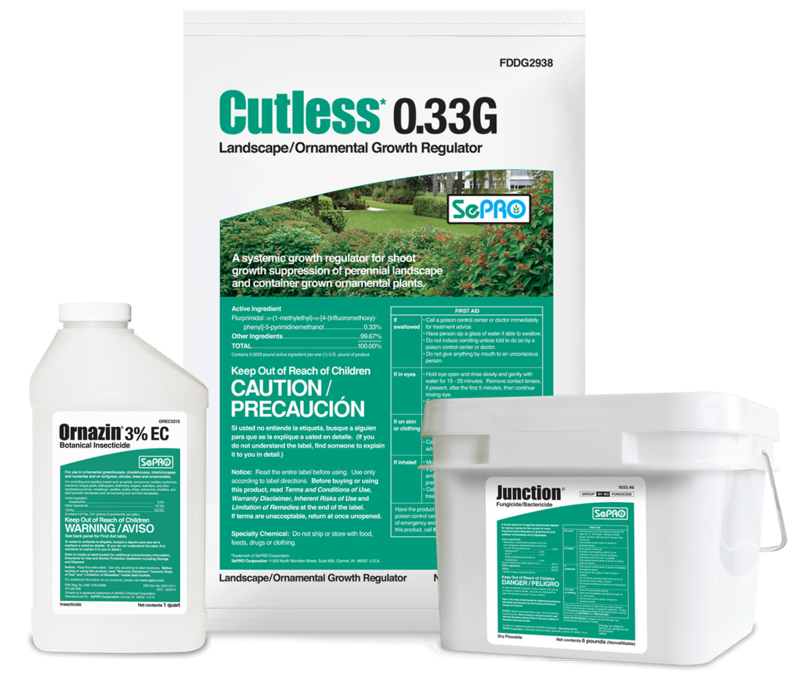 Whether it's reducing labor requirements, improving plant health and appearance, SePRO provides the dependable solutions to manage your landscape. 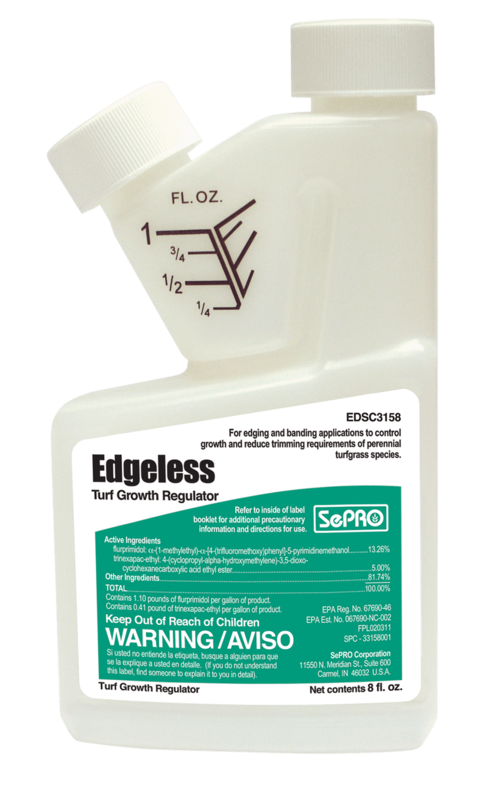 Broad-spectrum fungicide, provides control of a wide array of turf diseases. 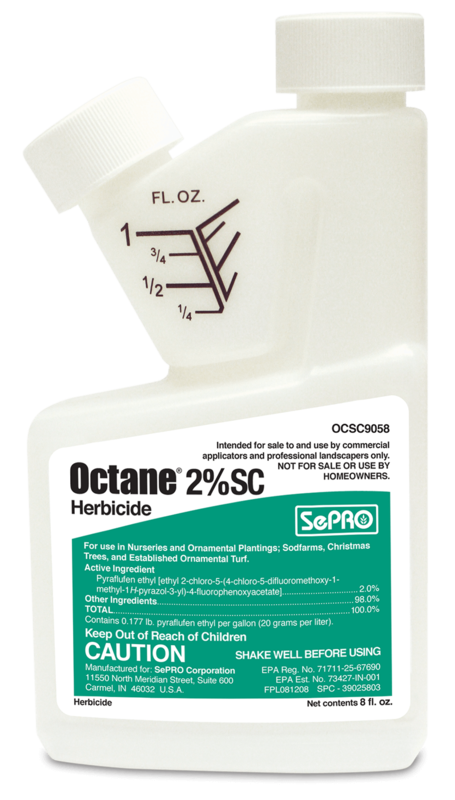 Controls growth of turfgrass and reduces string trimming requirements of turfgrass.